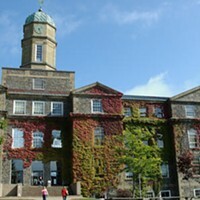 Oh, Dalhousie, even when we’re mad at you we can’t help but love you. You foot the $387,220 bill to send nine well-paid, wealthy AF business folk to attend some entrepreneurial accelerator program at MIT (though you promise it’ll be paid back through fundraising and private partners), and in the same year you hike tuition three percent. People were not happy. Yet you still earn top spots as Halifax’s favourite university/college. Your excellent faculty, amazing students and great campuses must make up for all your administrative blunders. We wish we knew how to quit you, Dal.